LEWISTON - Robert E. Tardif, 58, of Lewiston, died on Tues, Feb. 5, 2019 at the Hospice House in Auburn after a six week battle with cancer. LEWISTON – Robert E. Tardif, 58, of Lewiston, died on Tues, Feb. 5, 2019 at the Hospice House in Auburn after a six week battle with cancer. He was born in Lewiston on August 18, 1960, to Joseph “Val” and Arlene (Jenkins) Tardif. He attended Lewiston High School and worked at Elmet Technologies for 35 years. He married the love of his life, Deanna, on June 28, 1985. They made their life in Lewiston and had three children. Bob was a hard working and kind man. He is known for his loyalty to family and friends. He was always willing to lend a hand. He is survived by his wife, Deanna, of 33 years; his mother, Arlene of Lewiston; his son Justin of Lewiston, his daughter Kristen and son-in-law Nicholas Doyle of Fort Hood, Texas, and son Dylan of Offutt AFB. 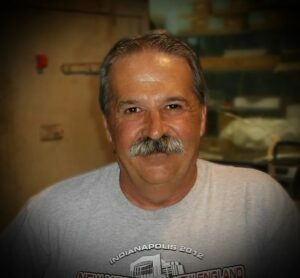 He is also survived by his grandchildren, Logan and Brooklyn Doyle; a large extended family; and many wonderful friends, and thoughtful co-workers. He is predeceased by his father, Val, his mother and father-in-law, Gladys and Butchie, all of Lewiston. Services will be held at Funeral Alternatives, 25 Tampa St. Lewiston, Maine 04240. A memorial visitation will be held on Tuesday, Feb. 12, 2019, from 11 a.m. – 11:30 a.m. followed immediately by a memorial service. Burial will take place privately at a later date.